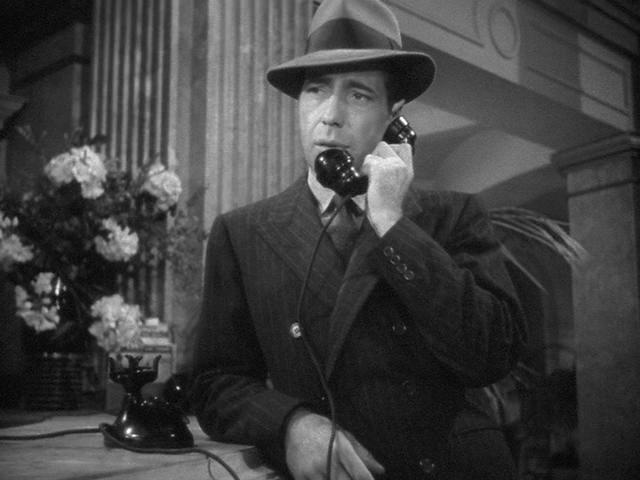 While the look in the Maltese Falcon is a classic it is still dated. 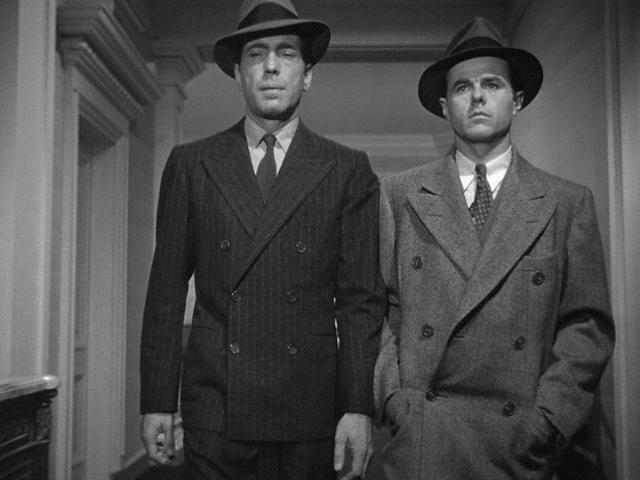 In this article we take a look at how the style could be updated. 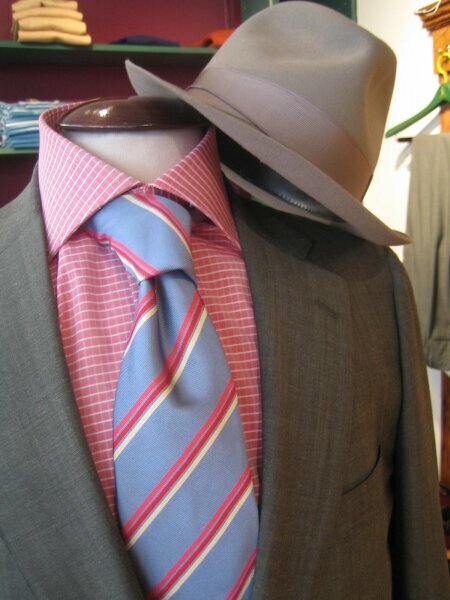 All color photo arrangements made possible by Jay Kos, NYC. 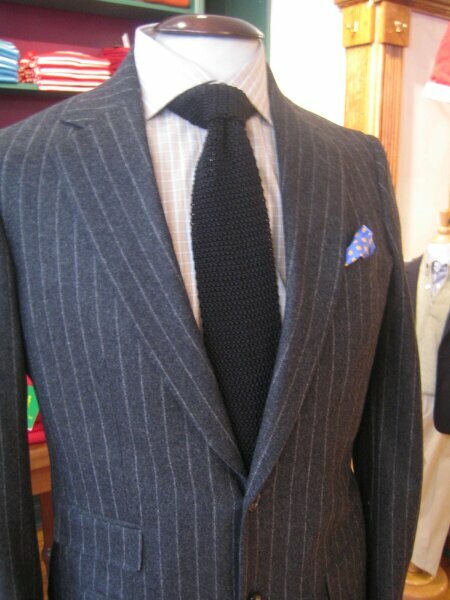 Old Skool: In 1941 the dark single breasted, peak lapel suit was considered POW for early spring time and paired with a white shirt and a solid tie. 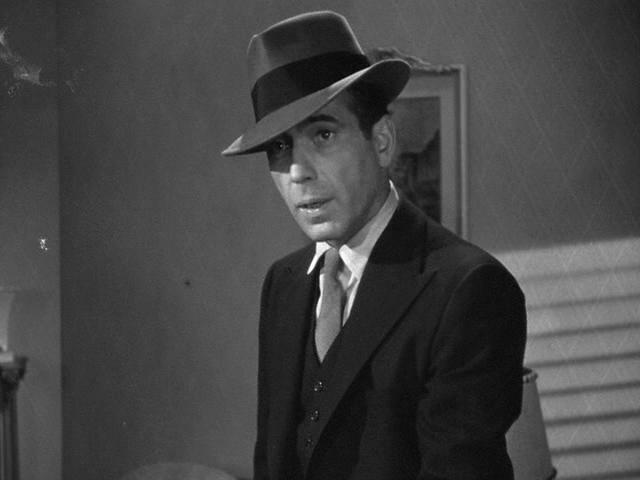 And a mouse brown fedora. 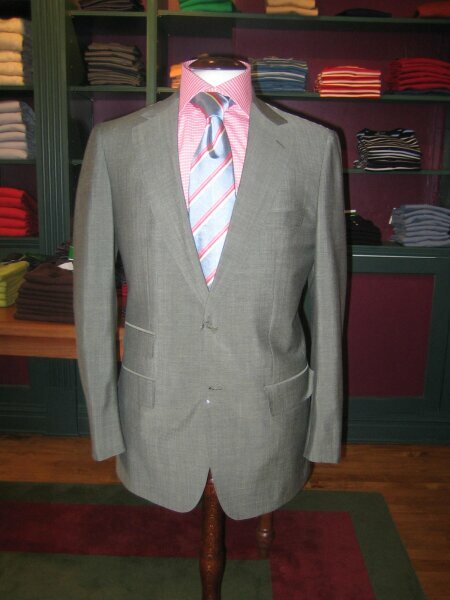 New Skool: In 2006, to elicit the same reaction consider a beautiful medium grey suit with a light red shirt with a white graph check. 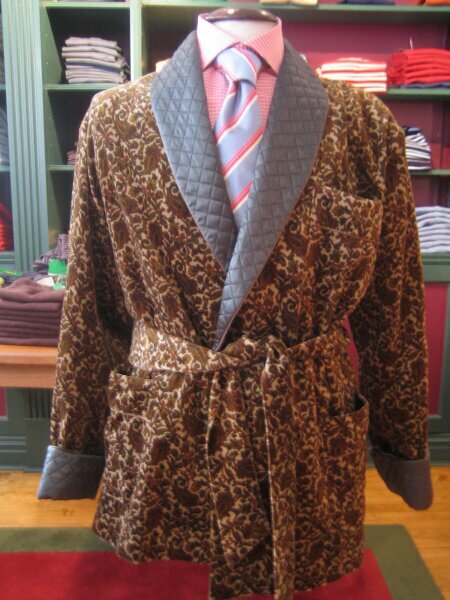 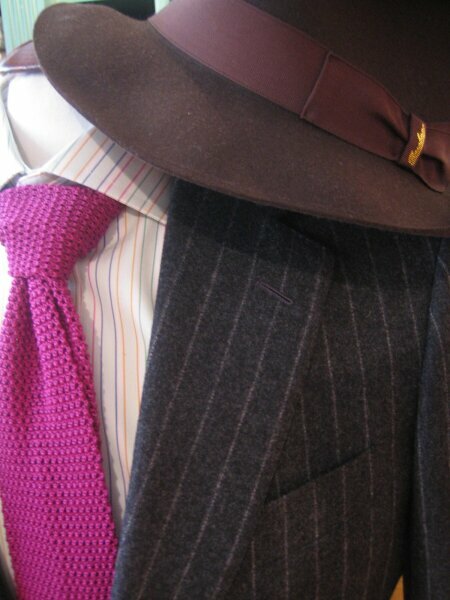 A woven tie with a repp stripe and a mouse brown trillby. 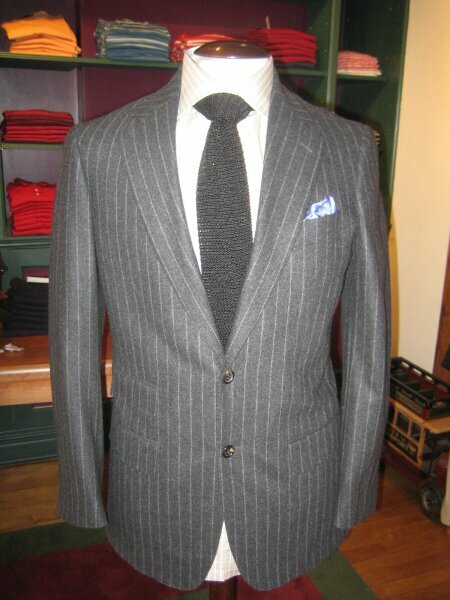 Old Skool: Charcoal double breasted chalk stripe suit, white shirt and solid tie. 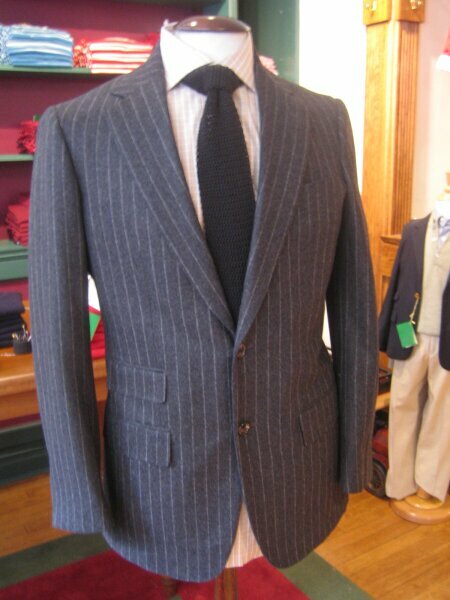 Steady and refined. 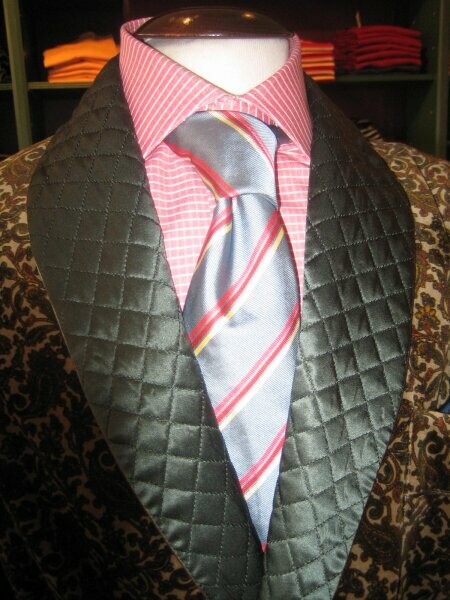 New Skool: Single Breasteds are more in keeping with the spirit of the double breasteds of yesterday. 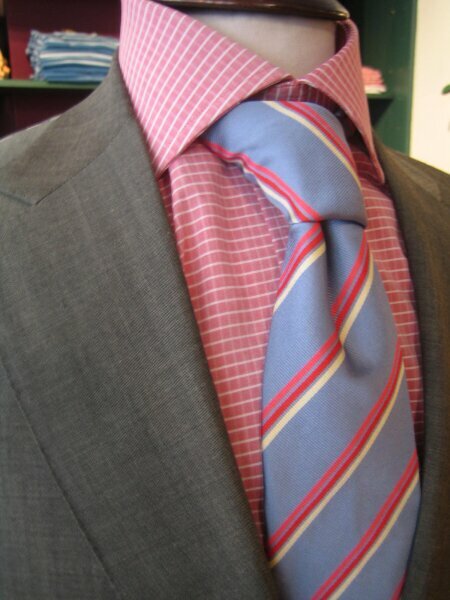 Single breasted charcoal chalk stripe, Black knit tie, Sand pink cotton shirt with white box plaid. 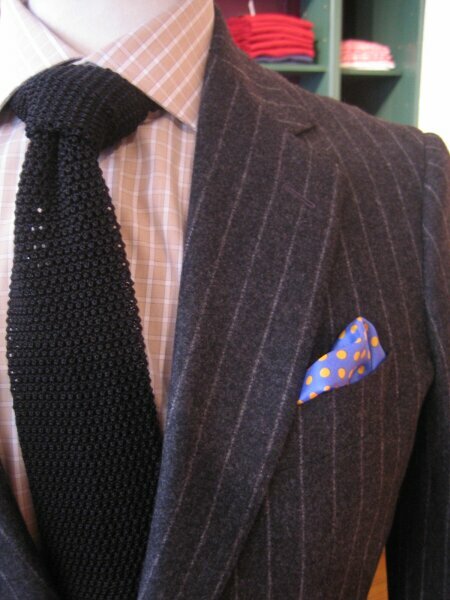 Medium blue pocket square with yellow dots. 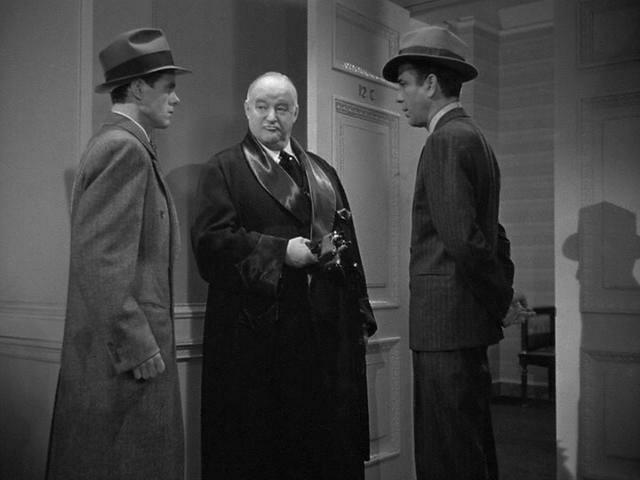 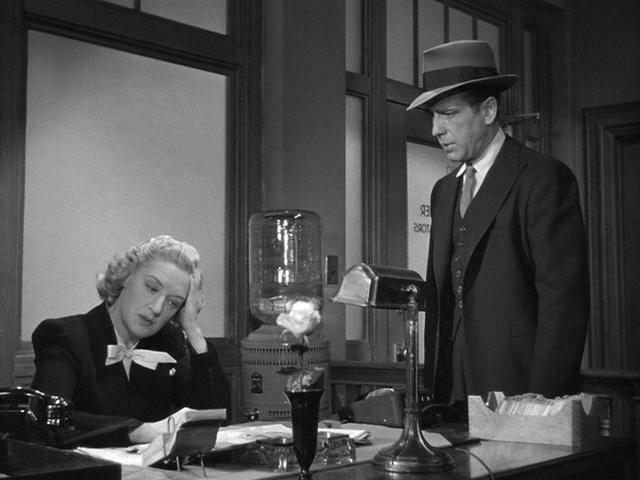 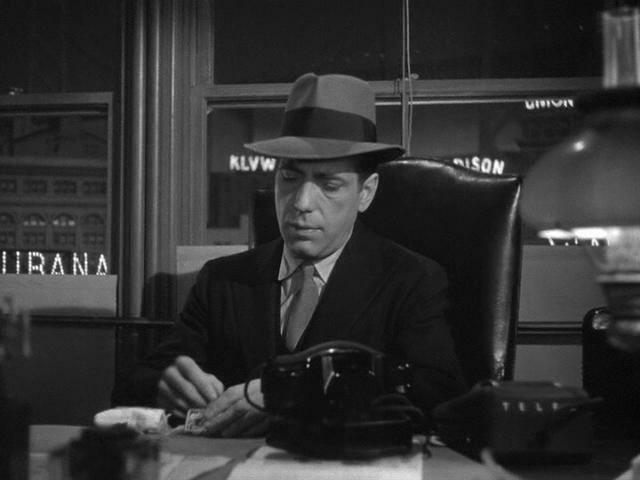 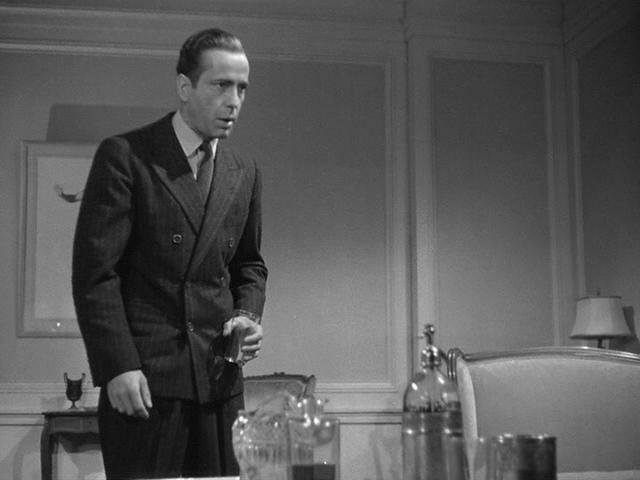 The black solid tie, either repp or knit was ubiquitous for the denizens of Film Noir. 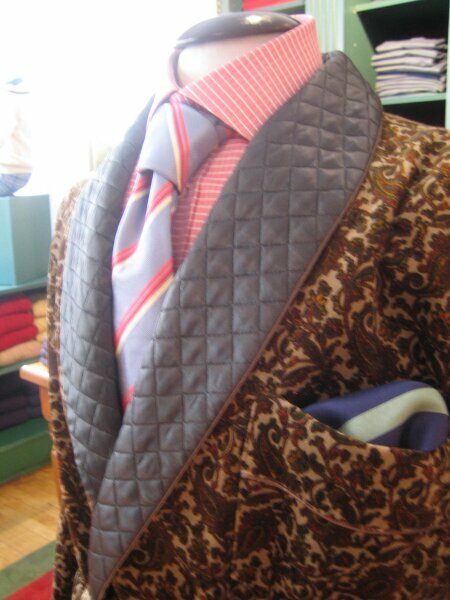 Variant: Or you can rock it with more color for spring. 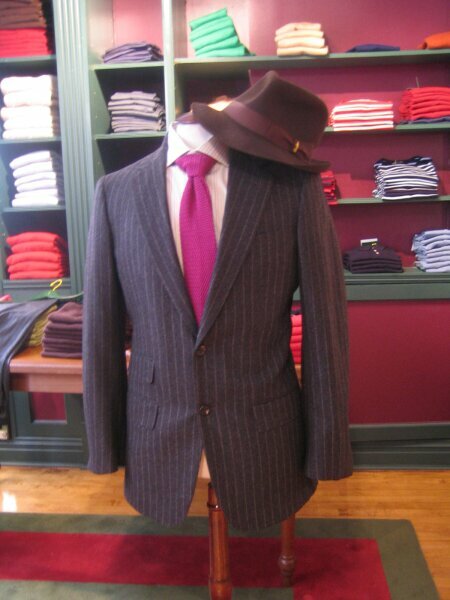 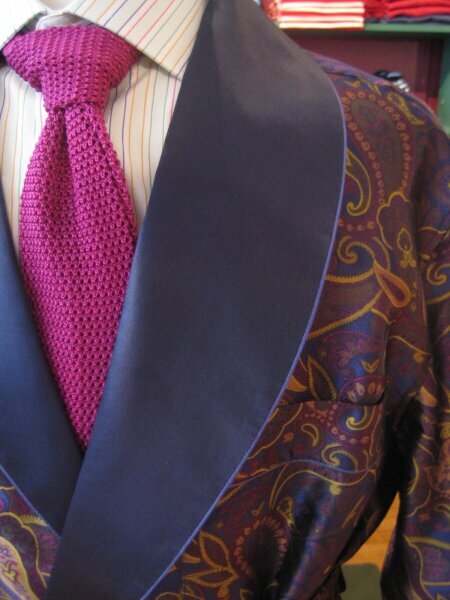 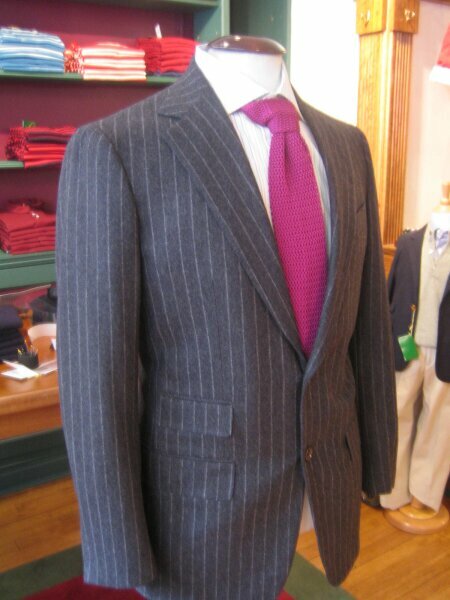 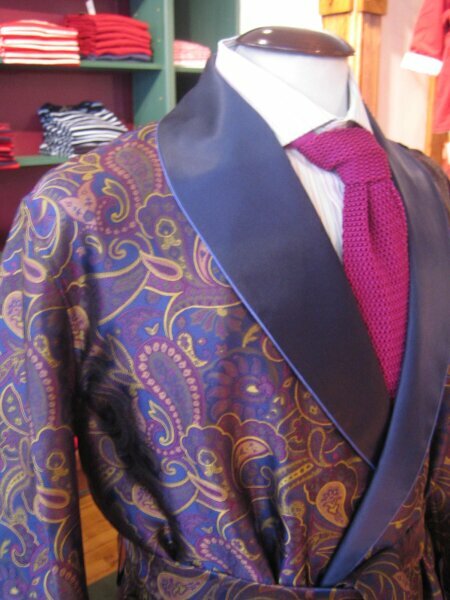 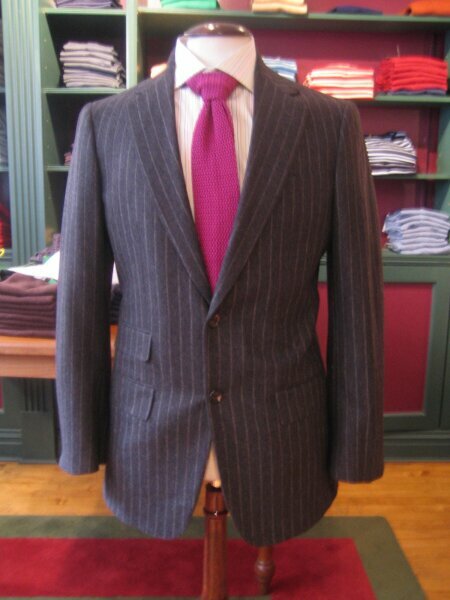 Same suit with fuscia knit tie and a pale blue background shirt with white stripes outlined in purple and medium blue. 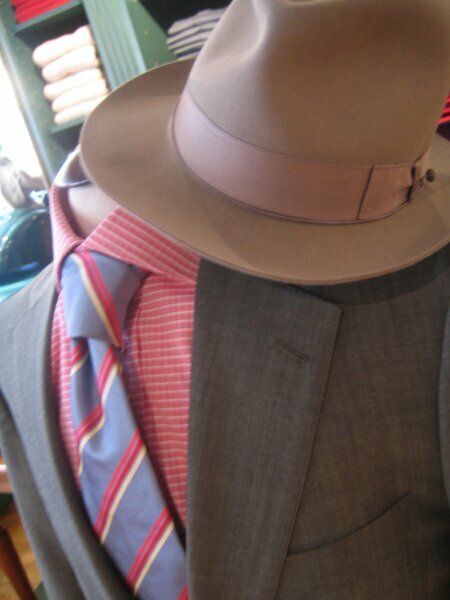 Chocoalte brown fedora. 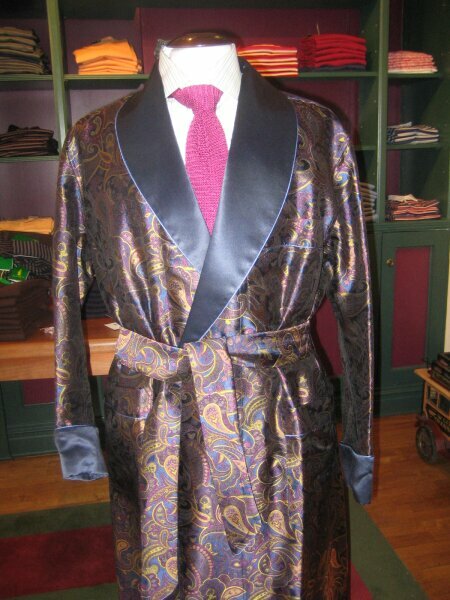 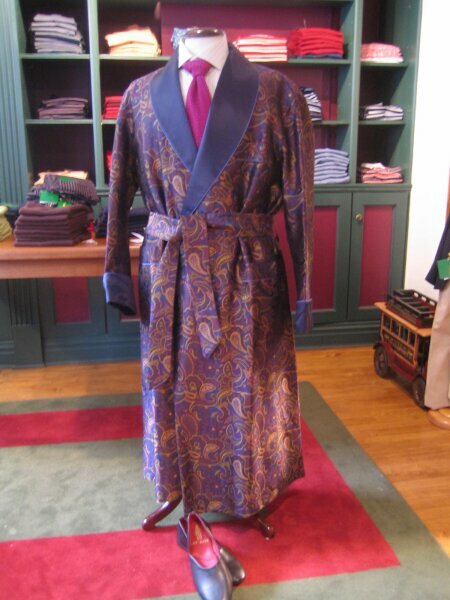 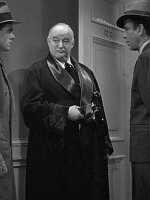 Old Skool: Sydney Greenstreet knew how to relax in the sophisticated silk dressing gown. 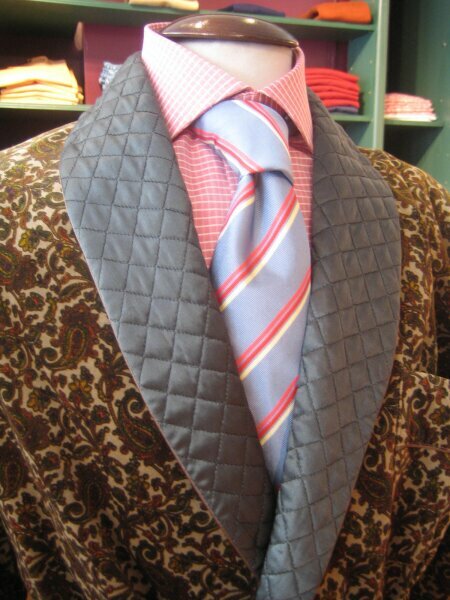 New Skool: Updated for maximum impact in vibrant colors and patterns either in yesteryears fine silk or in cashmere with quilted silk lapels.